Earth is slowly dying as a consequence of men’s uncaring treatment of the environment. But things are not yet hopeless. Every individual can do something valuable to help protect mother earth. Some have put up organizations. Others uphold green peace through their products. Among which is Cherokee. Making use of the green technology on fabrics, designers of Cherokee scrubs came up with a line dedicated only to dentists, doctors and nurses who are Earth lovers. They created scrub tops and scrub pants using bamboo fabric. And some of their designs are featured at Pulse Uniform. Find in that site more of Cherokee scrub uniforms. See the nature inspired Cherokee scrub in the picture? That is a drawstring v-neck scrub top in Arboretum print, which is perfect in conveying the eco-friendly message. And when it comes to style, Cherokee scrubs are also very competitive. Women, for instance, will love the adjustable empire drawstring design. Since adjustable, good fitting must be an assurance. 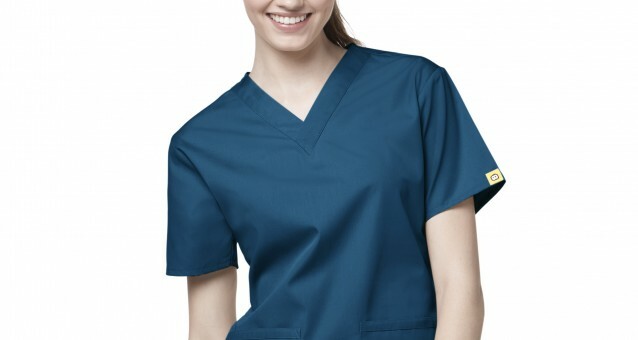 To further comfort quality, this scrub top also features back elastic, side vents and two patch pockets. Check Pulse Uniform for details. Other manufacturers continue looking into more substantial fabrics to use instead of inorganic materials. The most popular and widely used are organic hemp, cotton, silk, linen and wool. Bamboo, ingeo, alpaca, cashmere, soy, wood pulp and organically grown ramie are also gaining popularity. Ingenuous fabrics such as abaca and pineapple are also making name in the clothing industry. Good thing Cherokee goes eco-friendly. Environmentalists like me will be looking forward for more products of Cherokee scrub uniforms that are not just career friendly but nature friendly.